If you’re in your twenties, or older, there’s a good chance that your answer to this question isn’t a recent title. It may be a classic RPG like Baldur’s Gate. Perhaps it’s Halo, a benchmark against which all other console shooters are compared. It could be X-Com, a brilliant strategy game that is now repeatedly ruined by spin-offs. Or maybe you’re a fan of Elite, a founding game in the space trading genre, which today is nearly extinct. We often assume that we’ll always be able to play the games we love, but that’s not true. Games die, and some have already met this fate. A few of the earliest games throughout video game history – such as Spacewar! – are only museum pieces or gone entirely. A few games for ancient consoles such as the Atari and Nintendo Entertainment System have almost vanished. The Atari 2600 title Gamma Attack is believed to be down to one remaining original physical cartridge and others (particularly those which were not instant hits) are likely to have a remaining population in the hundreds. DEATH IS NOT RESTRICTED to old games, however. Proliferation of online-only titles and digital rights management has created a poison that commercially unsuccessful games, like the MMO Auto Assault, quickly succumb to. Death is not restricted to old games, however. Proliferation of online-only titles and digital rights management has created a poison that commercially unsuccessful games, like the MMO Auto Assault, quickly succumb to. A lack of commercial success can also make a game prematurely rare. Steel Battalion, notable because of its massive (and expensive) controller peripheral, is a good example of a title on the path to obscurity. Preservation of games may seem unimportant, but it’s not. 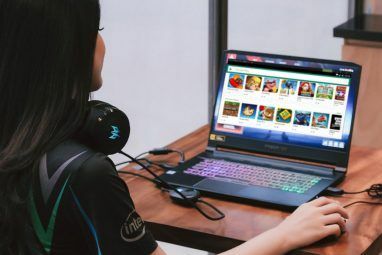 Gaming is a medium that’s become known for its tendency to wallow in its own immaturity, but it’s also a cultural phenomenon enjoyed by millions of people across the globe. Video games – their gameplay, narratives and how they’re played – tell us as much about ourselves as books and movies. As old games fade away or die we forget what made them great (or not) and lose a piece of human history. We can do more than just reminisce about our favorite titles: We can also preserve and enjoy. It’s easy to forget that the video arcade was once an integral part of gaming culture. Though personal computers entered the market in late 1970s with the introduction of products like the Apple II, it would take two decades for the household adoption rate to exceed 50% in the United States. For most people, particularly children growing up in the 80s and early 90s, interaction with technology took one of two forms – the arcade or the home game console. Eventually the widespread availability of PCs and the increasing power of consoles lead to the death of video arcades worldwide. Outside of Japan, where the arcade is still a hit, most arcades have gone out of business. But you may be surprised to find that some still exist. Residents of Portland can visit Ground Kontrol. Those living in San Francisco can enjoy South Town Arcade. And gamers living near Boston can check out the American Video Arcade Museum. AS A BUSINESS, classic arcades spend a significant portion of their income on repairs and upkeep. This is the big, nasty problem that keeps the classic arcade from proliferating. The name of that last arcade strikes a common cord. The CEOs of Ground Kontrol also refer to their establishment as a “hands-on museum.” As a business, classic arcades spend a significant portion of their income on repairs and upkeep. This is the big, nasty problem that keeps the classic arcade from proliferating. Without income from another source, such as a restaurant or a bar (Ground Kontrol serves alcohol and has even attached simple wire cup holders to many arcade cabinets), profit is an elusive goal. Arcades are a part of video game history and unique spaces that can’t be replicated by a formal museum or a private collector, so it’s a shame that they face difficulty as a business. The best way to support arcades is to visit them, but with so few open, that simply is not possible for most gamers reading this article. You can, however, help them in other ways. Some of the remaining arcades support themselves not only through game sales but also through the sale of apparel – after all, what’s cooler for a geek than a shirt from one of the last remaining arcades? Arcades also often accept donations of time, money and equipment. An original arcade machine is an awesome centerpiece for any video game collection, but few people have the knowledge and time required to keep them in working order. If you have a vintage machine that’s just gathering dust, consider donating it to an arcade with the resources to repair it and gamers ready to enjoy it. While classic arcades may act as hands-on museums they are, ultimately, a different beast from a museum. No arcade can hope to maintain all of the machines in existence and all of them focus (for obvious reasons) on games that were designed for coin play. The arcade defined early gaming, but gaming was never an arcade-only experience. Game consoles and PC games have an equally rich history. This history is also larger, which makes it more difficult to capture. It’s possible for an arcade to capture a reasonable slice of the arcade experience within its walls, but the same is impossible for a console and/or PC collector. There have been tens of thousands of games released for consoles and PCs over the last few decades. Which may leave you asking – are video game museums a thing? The answer is yes, but they’ve only recently sprung into existence. The largest among them is the International Center For The History Of Electronic Games (ICHEG), a partner of the The Strong. Located in Rochester, New York, the ICHEG owns over 17,000 console and PC games as well as 10,000 gaming related publications. The museum’s collection includes every console ever manufactured for the North American market, a host of historical arcade machines and even a World Of Warcraft server blade (though it is not used to host an active server). ICHEG is part of a small crowd. Berlin hosts Computerspiele, another established museum, but not all attempts at founding a video game museum have been as successful. The Museum Of Art And Digital Entertainment, for example, is having difficulty with funding. These museums are important not only because of their ability to store large collections but also because they can act as centers for preservation. Game media usually isn’t durable: A floppy disk or CD-ROM may not seem flimsy, but it does degrade over time. Even a disk that seems physically intact may be useless due to “bit rot CDs Are Not Forever: The Truth About CD/DVD Longevity, "Mold" & "Rot" CDs Are Not Forever: The Truth About CD/DVD Longevity, "Mold" & "Rot" The digital age has revolutionized the way we handle information. Never before could humankind record and store so much information and in such diversity. While the amount of data has increased exponentially, the predicted life... Read More ” – the spontaneous decay of magnetic media over time. To make matters worse, technologies used to store old games are abandoned as the world progresses. The formerly popular 3.5” floppy disk, for example, is not long for this world. You can still find new disks and drives for sale today, but eventually they will be discontinued by the smaller manufacturers producing them. Even NASA has had problems dealing with old formats. Some data about early moon missions has been lost because the equipment used to read the tapes was destroyed. We need museums to combat these problems. Only they can preserve games by maintaining original hardware and copying games to new media before the originals decay. You can help with this by donating – must museums will take gifts either in the form of monetary contributions or item donations, both of which can be of equal use. We are at a critical point in the history of video games. Should these museums fail, and new ones struggle, it is likely that many games from the beginning of the industry will be lost. With all of this talk about donating games to arcades or museums you may wonder if you ever will have the chance to enjoy them yourself without feeling as if you’re simultaneously killing the classics that you love. Yes, you can. The words “classic” and “rare” are not synonyms – a game that’s incredibly influential and also incredibly popular will not become a museum piece quickly. There will be too many copies of the game available. Slowly, year by year, some will fall victim to accidents and age, but it will be some time before a popular game becomes hard to find. While it’s important that games be preserved by those with the ability and funds to safeguard them, it’s equally important that games be played. Technologist Jaron Lanier, in his book You Are Not A Gadget, states that “if bits can potentially mean something to someone, they can only do so if they are experienced.” In the context of video games this means there is no game without a player. If all copies of a game are locked up for preservation, is it still a game? Or has it become an antique no different from any other object? IF ALL COPIES of a game are locked up for preservation, is it still a game? Or has it become an antique no different from any other object? Bringing the classics home is just as important as storing them in a museum. You may be surprised by the similarities some modern games have with the classics – and also by the advances new technology have allowed. You’ll also be able to seek out the origins of beloved modern classics. How many current players of Final Fantasy have played the first few games of the franchise? Among gamers around my age (27) the number is small – which is no surprise. The first game was released when I was only four years old. Enjoying classic games in your home is easiest with a console. Even an Atari 2600 will connect to a modern HDTV with a co-axial cable. Its image may appear stretched and blurred but it should be displayed. The same goes for many other consoles such as the Nintendo Entertainment System. There are also exceptions, such as the Magnavox Odyssey, which often connects via twin antenna leads and requires an adapter to convert to coaxial. More modern game systems like the Nintendo 64, Playstation and Sega Saturn are even simpler because they use composite output. Modern HDTVs still have composite inputs and probably will for some time. Playing these low-resolution consoles on a modern HDTV won’t result in the best picture, but old CRTs are plentiful and cheap – the only problem may be finding a place to put one in your home theater. Gaming on an older computer is similarly a simple from a hardware standpoint. A Commodore 64 will run Commodore 64 games. An Apple II will run Apple II games. 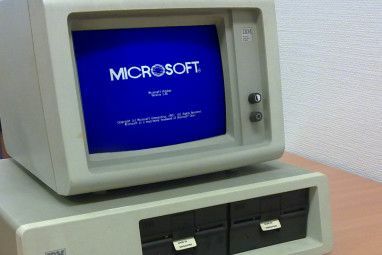 With that said, be prepared to brush up on your old operating system knowledge if you want to keep a vintage computer usable. There are various resources online that can help you such as The Trailing Edge, a library of old PC manuals that have been converted to .PDF and uploaded to the Internet. Other specific high-quality resources include The Commodore 64 Online Manual and Early DOS Manuals. And if all else fails, well – you can always buy a book. Collecting games is a valid way of assisting the preservation of all but the rarest titles. You may be interested in keeping your own collection of games so that you and your friends can enjoy them regularly. But what is it going to cost you? Console hardware can be had at bargain prices. Most can be picked up for no more than $50. Older systems that are in confirmed working order cost more than newer systems – a GameCube is about half the price of a Nintendo Entertainment System. Neither is going to clean out your savings account. Computer hardware is a different story. Pricing rises quickly after about a decade of age. Even a Windows computers that’s from the late-90s will probably set you back $100 if it’s in good working condition. An Apple II in tested working order will usually sell for between $200 and $400, depending on the peripherals included. The situation is the same with software. A copy of Super Mario Brothers isn’t hard to find for ten bucks, but finding a copy of Ultima IV for the Apple II or an IBM-Compatible computer is both difficult and expensive – expect to pay from $40 to well over $100 online and expect to search long, hard before finding a local copy. So, in a nutshell – collecting PC games is expensive and collecting console games is affordable. Consoles are also less likely to take up your time. Attempting to diagnose problems with old computers is a serious headache that will be beyond the skills of the average gamers. 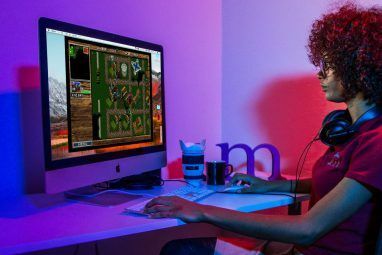 I know from experience – I have a Windows 98 computer I use to run original versions of games I played in my teenage years, such as Baldur’s Gate. Even this computer, which is made up of hardware between 10 to 15 years old, is a headache. Driver support is limited, components occasionally malfunction for no reason and the older version of Windows is much less forgiving of both user and system errors. Rewinding the clock further only increases the difficulty. Consoles, on the other hand, use pre-determined hardware and have large fan bases that are dedicated to preserving them. Is your Sega Genesis acting up? No problem. Just refer to the iFixit manual, or check the Genesaturn blog, or ask on a Sega fan webforum. Or just replace it. What about arcade cabinets? Well, how deep is your wallet? Classic arcade machines are not unobtainable but you can expect to pay anywhere between $1,000 and $5,000 (and that’s not counting the cost of shipping and maintaining it). If that’s more than you can afford you can try building your own arcade cabinet capable of emulating thousands of games. This is a big project, however – and the final bill will still be over $1,000. As the pricing of arcade cabinets shows, game collecting can become an expensive hobby. But it also can be an inexpensive one. The average gamer can keep entertained by spending just a few hundred dollars per year. That’s enough to buy two consoles and ten to twenty games. Buying old hardware gives you the original experience, but it also gives you the original hardware. Coaxing an Apple II into running old games properly is not brain surgery, but it may keep you up a few nights and illicit spontaneous outburst of colorful language. There’s an easier path, one that’s both more approachable and much less expensive: The emulator. An emulator is a piece of software that duplicates the functions of computer hardware. The popular DOS emulator DOSBox, for example, is capable of emulating x86-DOS on computers running modern versions of Windows, OS X, Linux and a number of other more obscure operating systems. There are also numerous console emulators that run on modern PCs such as Nestopia (which emulates the NES) and Dolphin (which emulates the GameCube and Wii). The preservation value of an emulator is debatable. Emulators strive to be accurate to the original hardware but 100% accuracy can be difficult if not impossible to obtain. Older games often appear blurred or stretched on modern machines and can’t be enjoyed in their original form without a vintage display. There are also timing errors introduced by modern processors and bugs ranging from game-breaking issues to minor graphical artifacts, are common. EMULATORS ALLOW MORE PEOPLE to experience old games without parting ways with a lot of cash or dealing with old hardware. And that is A Good Thing. But preservation is not the only reason why modern gamers should strive to enjoy classic games. Classic games can also teach us about the history of gaming and remind us of genres and gameplay mechanics that have fallen out of favor. Emulators allow more people to experience old games without parting ways with a lot of cash or dealing with old hardware. And that is A Good Thing. If you want to tip your toe into the pool of gaming history I encourage you to look at emulators as a start. Download a copy of DOSBox, grab an older title (X-Com is always a good choice) and read the DOSBox FAQ. Getting the game to play properly may take an hour or two, or it may not take much time at all – if you do run into issues, consider it a rite of passage. The original hardware would likely treat you worse, though its abuse would be different. Every gamer who is enthusiastic about the hobby should take some small part in game preservation. This is a critical time for video game history. Many of the hobby’s foundational games still exist, sometimes in large numbers – yet we are also not that far away from seeing many titles vanish. One of the best examples is Elite, the 1984 game that helped establish space trading games – and space games generally – as an exciting genre. This game was hugely influential and is fondly remembered (by those who do remember it, at least). It is also rare. Original copies are hard to find and the game has never been officially re-released. Fans who want to re-play the title will likely have to emulate it or try Oolite, an open-source game inspired by the original. ELITE IS EXACTLY the kind of title we need museums to preserve. It’s increasingly rare and unlikely to be picked up by casual collectors, yet it is also part of the foundation for an entire genre. There are reasons why Elite is rare and has not been re-released. 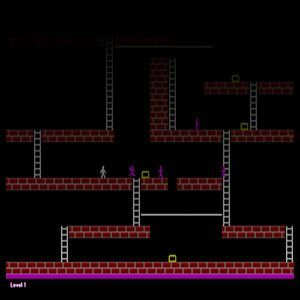 Its primitive wire-frame 3D graphics and simple sound make the game hard for newcomers to enjoy. This does not make it less important, however, nor does it diminish the game in the minds of those who enjoyed it. Elite is exactly the kind of title we need museums to preserve. It’s increasingly rare and unlikely to be picked up by casual collectors, yet it is also part of the foundation for an entire genre. The proliferation of DRM and mandatory online connectivity does nothing to assist the history of gaming. While businesses like GOG and the Humble Indie Bundle are willing to offer games DRM-free, most titles have an uncertain future. It’s a movie we’ve seen before – back in the 80s, some game publishers locked down disks so they could not be copied. Hackers managed to find ways around those blocks, but the protection could have killed them just like today’s DRM and always-online connectivity has already killed some titles. Partial death is also a real threat for games that includes multiplayer game modes. Electronic Arts is known for aggressively terminating the servers dedicated to older titles, effectively killing their multi-player mode. Will your favorite game be playable when you’re sitting in retirement home? I don’t know. More importantly, you don’t know. Video game history could fade quickly, laid to rest by bit rot, incompatible hardware and DRM. Gamers are often focused on what’s new and awesome, but we also need to remember the foundations the medium is built on. The industry will become lost if it continues to move forward without remembering where it has been. Explore more about: Emulation, MakeUseOf Features, Retro Gaming. Remember also MAME arcade emulator that tries to replicate as faithfully as possible the inner working of original machines and also tries to replicate on modern monitors the blurred look of old arcade monitors. It is not actual preservation of course, but it is emulation at high level, aiming to faithfulness instead of performance. Consider that some older games such as Frogger require a very powerful pc to run on latest mame but older Mame has much lower requirements. That's because it used hacks and tricks in order to have the game running, now it emulates more accurately the machine and needs therefore much more power. Actually the game seems to play the same both on old and new version but the way it actually works is very different. Does anyone remember the Alex Kidd games on the Sega Master System? Those were a blast! I love Oolite! It takes me back nearly 30 years! And I still cant dock in the space station easily! It was a great bar game! The Legend of Zelda... The Best!! You can never go wrong with a classic game, they're all wicked fun! I'm so glad GOG.com came to life recently. It's allowed me to reconnect with my old games. I can never outgrow my fondness for "Solomon's Key" - the emulated version is not like the original; but at least I can reminisce the past with my kids sharing the fun! Italy is full of arcades. In the small town on the sea where I go for holidays there are two (and it's a SMALL seaside resort). Where I live there's at least another. If you're looking for arcades outside Japan come here and ask where's a "sala giochi"
Funny bit about the naming scheme of video games: I'm not sure if this is urban legend or not, but I heard a story about how in the late '80s or early '90s when Sega was the hot new competitor to Nintendo on the American video games market, there was this kid who, all he ever wanted for either Christmas or his birthday or just because all his friends had it, was Genesis, and he kept asking for "Genesis, Genesis" and hoping he'd get Genesis. It was only through the fortune of knowing other people who actually knew what Genesis was (besides the first book of the Bible) that his mother, who was not at all familiar with video games or how to buy them, didn't run out and buy a Phil Collins album. i have never been a gaming freak, the last game that i played and enjoyed was mebbe river raid on atari and doom on the PC ... the recent PS fad never got me, despite owning a PS2 ..... however the idea of preserving still seems awsome. oh and i loved the sentence 'As old games fade away or die we forget what made them great (or not) and lose a piece of human history.' very well writtten! Or you find that some games haven't aged well. Classics are great, until you find that some games haven't aged well. This is precisely why I download ROMs and emulators for all of my old favorites. I want them to continue to exist moving forward. Very good and thorough article :D I'm not really interested in older games as of right now, since I have so many things I have yet to do. Exception is playing psx from pc by emulator, the quality aren't so bad, and it is easy to set up. I would love to visit a game collection museum sometime, though. Great article, which makes me so downloading emulator and playing old games. And suddenly Legend of Zelda is playing on my laptop. And after playing it for a while I realize that it is still much better (game mechanic-wise) than so many games out there. So yes preserving games is a must. Ah..... pole position where have you went? I still have 2 (mostly) working NES consoles, the one my grandparents bought for me in 1984 and the one I made my parents buy for themselves around 1989 or 90 so they would stop stealing mine to play stuff like Tetris and Dr. Mario. While both are still technically functional, it may take a bit of part swapping to make one "near mint" out of the two. Whenever I do finally get around to starting in on that project, I'll most likely convert the donor machine into a case for a mini ITX system running a NES emulator. For the Apple, I miss Rescue Raiders, and for the PC era I miss the Descent Series the most. I primarily use dosbox to play old strategy favourites such as Railroad Tycoon and Colonization (despite their modernised incarnations). However, I think its fair to say that the most fun I've ever had with any game was Turrican I and II, the only reason to own a C64 or Amiga emulator, IMHO. All the memories of playing with the kids from the neighbourhood. Retro games are the backbone of what the game industry today. Great Article! Oh Yeah..... Gotta love the oldies !!! I guess Ultima III & IV on the Atari 800 were my favorites from the old days. On my first 386 it would have to be a toss up between X-Com and X-Com Apocalypse past that and Now, I guess I really don't have a favorite 'cause there's just so many really great ones..... One question though...... in the article it's said: "X-Com, a brilliant strategy game that is now repeatedly ruined by spin-offs." Why say it's being ruined ?????? Arcades still exist in some of the casinos in Reno. They get good business, too. The way things are going with gaming turning more digital is that there soon won't be anything physical to collect anymore. Also unless I can fix all the kinks in my Immortal Ray, I won't live forever and my offspring are only just going to sell and dump all my video games that really held enormous sentimental value to me. Wow, when a work colleague sent me this article, I didn't realize what a great read it would be - and how current to my situation it is. I've just recently bought a whole slew of old games on the Wii's virtual console and have been bouncing between the old goodies (Zelda, Mario, Final Fantasy) and my current addition (World of Warcraft). I've even got Final Fantasy on an Emulator at the moment, and I'm planning on playing all of them from the beginning (Yay, 8 bit graphics!) to the most current. My husband, as well, keeps wanting to build an emulator cabinet of all the old awesome games that both of us loved as children to share with his children. I loved M.U.L.E. - we would play it all the time! My favorite game goes back to the early 80's. It was called Star Raiders and was made for the Atari 5200. A different version was made for the 2600, but its only the 5200 version I am interested in. I have looked for a way to emulate this game on my PC but so far no go. PS: Games of note: Super Mario Bros., Zelda, Contra, Castlevania, Tetris, Ninja Gaiden, Metroid, River raid, Asteroids, Sonic, Original Mario Bros.(Atari), Metal Gear, Space Invaders, Pitfall, Pac-Man, Pong, Super Breakout, Frogger, Centipede, Dig Dug, Qbert, Pole Position, Donkey Kong, Stampede, Bowling.... I could go on forever haha. 'Pong' and 'Brickout' were good, but my favorite, back in those days, was 'Raster Blaster' on the Apple ][. This would have been about 1980. Apple's System 7.5 used to have an Easter egg in which you could play Breakout (or Brickout) with the bricks reading names of Apple programmers. My local library had an old System 7 Mac, and I used to play this all the time. I can't remember the shortcut to do so -- I think it involved dragging some text onto the desktop, at which point the Breakout game would appear. Ha at the SPAM check. If it works, then great! It certainly is simple. I have been trying to get an old Win 95 game, Drain Storm to work on Win 7. No luck, it just isn't about to even start happening. Last time I got to play it was on an XP machine and it ran fine there with the emulator. Here... nothing. Was the 97 Game of the Year or some such. It was different every time I played it. I believe it was amongst the first to be statistically based. Getting through the first time took me weeks. I miss night driver, asteroids, and joust. its good to know the game i played as a child so many moons ago are not necessarily gone but more than likely just reborn in a new format so i can show my kids just how rough we had it in the days of pong. Fantastic article! Really in depth and thought provoking stuff. I still have my SNES, and it's still one o fmy favourite consoles. Super Mario World 2: Yoshi's Island and the original Zelda: A Link to the Past are some of the best games I have played in my life. I grew up with them, and Super Mario World 1 even taught me my colours, directions and even how to count! I was delighted when I found out that the SNES, N64 and Gamecube all share a common output port! It means I can use the component cable from my GC to hook up my SNES & N64 to newer TV's, without any pesky issues of tuning them in... or in the case of the TV in my old place, the issue of not having a standard aerial input! I still have my 48K Spectrum - though no power supply, CBM 128 - fully operational, and Amiga 1200. There were some great games on each. u can still find them online... easily! Super Mario Bros on a working NES is still the best! !